There are more than 100 native American tribes in California, but a scant 1 percent of that population will attend college. Students seeking higher education often struggle to find role models, leave the reservation or connect with a support system that can relate to them. The Natives Aiming to Inspire Values in education (NATIVE) Pipeline program is working ot change that. The only program of its kind in the CSU system, it introduces students to college while they are still in high school, through a week-long program hosted at Cal Poly Pomona, focusing on three areas: culture, academia and leadership. While staying on campus they are introduced to the campus community, Native American heritage and field trips to places like FNX, the only Native-American television station in the country and the Autry National Center. Mentors keep in touch with them after the program and offer assistance on college applications. The summer program has an 80 percent success rate, in terms of participants applying and then going to college. For students who are accepted to Cal Poly Pomona, a support system is built in that provides support through mentors, textbook assistance, cultural programs and a place to call their own at the Native American Student Center. 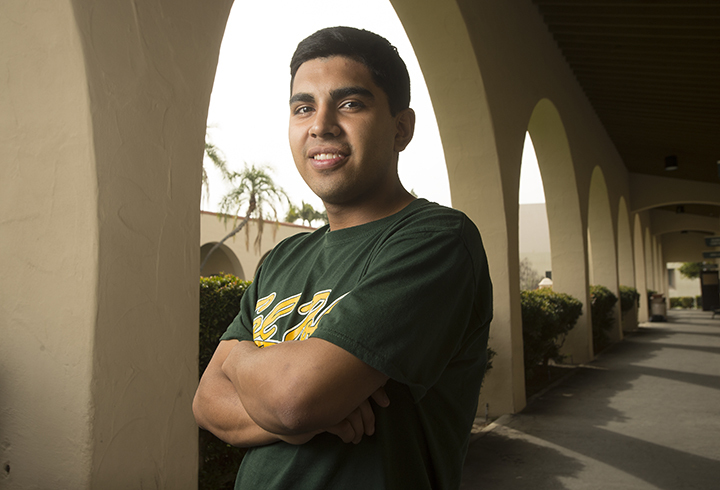 Current Cal Poly Pomona students credit the Pipeline program for their current success. The program is funded through a Kellogg Endowment Grant and support from alumnus Don B. Huntley, a highly successful Fresno-based farmer and businessman, who provided $150,000 to expand the program.